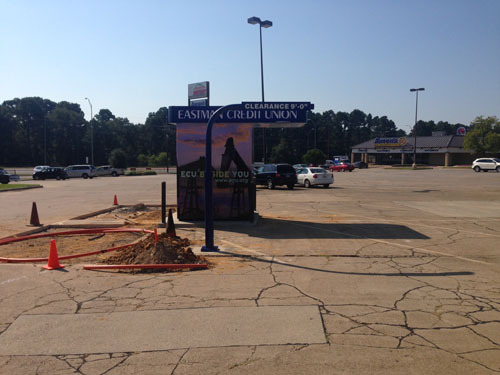 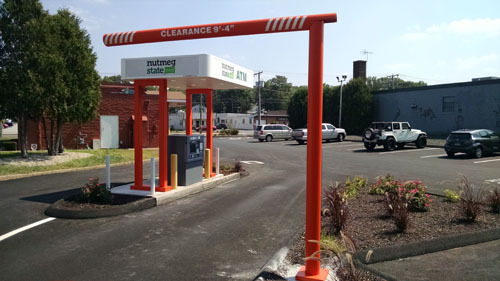 Protect your kiosk, freestanding or branch canopy with Concept Unlimited’s innovative self-resetting drive lane clearance bar. 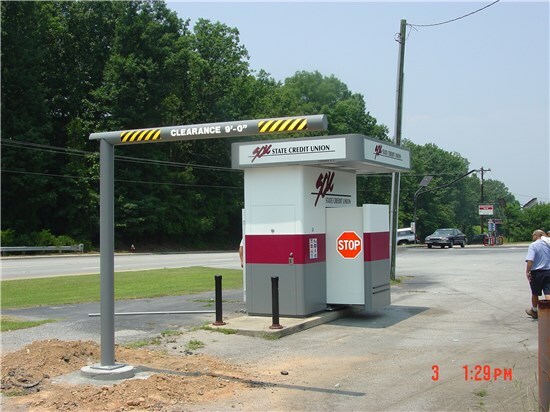 After impact of the clearance bar (and not your branch canopy) our hit bar will reset itself to its original position. 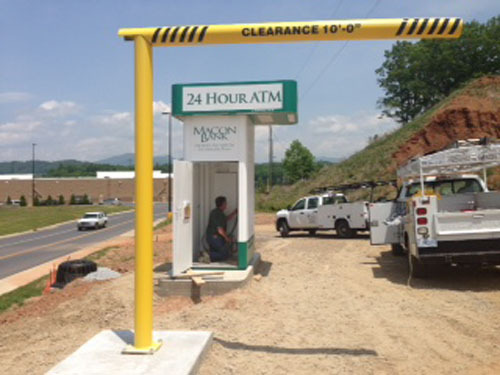 This unique design eliminates extensive construction costs or clearance bar replacement as is common practice in these situations. 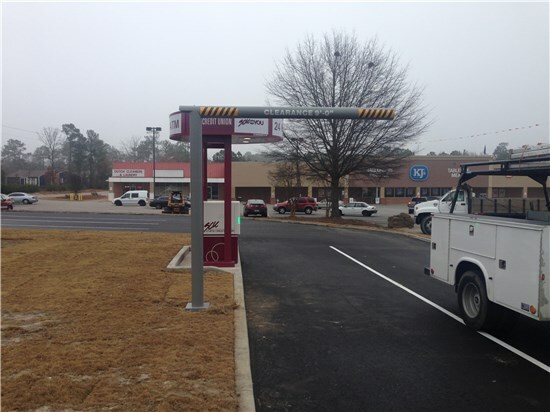 As a lower cost alternative, Concept Unlimited also offers stationary drive lane clearance bars.